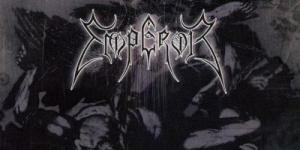 Emperor may be a Black Metal band but this is no formulaic Black Metal album. Casting aside Black Metal’s church burning controversies, it was to be Prometheus that proved once and for all that Black Metal could emerge from the darkness and receive universal acclaim. By utilising a clean production, as opposed to the classic lo-fi nature of ‘true’ Black Metal, the stunning musicianship of Emperor could clearly be heard and their compositions were exactly that; stunning. This is no easy listen mind, you don’t just dip into it for a quick fix, it requires as much focus, concentration and pure commitment from you as the band members put in when writing it. “The Eruption”, “The Tongue Of Fire” and “In The Wordless Chamber” are blastbeat filled works of pure progressive majesty which conjure a baroque bedlam that is virtually unsurpassed in extreme metal. Very little can match Prometheus’ scope, brevity and intellectual highs and it borders on being impenetrable but stick with it, repeat listens only reveal more and more of its seemingly unlimited ideas. When Emperor split after this release it could be because they knew that topping this monumental achievement would be completely impossible. They were probably right. The more things change....the more stay the same!